As we’ve all found out by now, Andy Whitfield won’t be retuning to season 2 of Spartacus: Blood and Sand due to illness. In addition, the search for an actor to replace him is going in and we expect to get that news pretty soon. Until then, Starz has gone ahead and made a prequel series to Spartacus: Blood and Sand called Spartacus: Gods of the Arena, which we have the first trailer for today. The new series features some of the actors from the original show, including John Hannah (Quintus Batiatus), Lucy Lawless (Lucretia) and Peter Mensah (Doctore), but tells the story of the beginnings of the Batiatus household. As the prequel begins, Quintus Batiatus is the acting Lanista while his father Titus is on an extended visit to Sicilia. But Batiatus isn’t satisfied with just the thought of taking over the Ludus one day; he aspires to political power and prestige in Capua, and perhaps beyond. In the class-conscious world of ancient Rome, the House of Batiatus must first earn the respect of both politicians and socialites before being granted the right for its gladiators to fight in the much-revered championship bouts called the Primus. Batiatus must not only survive the harsh politics of Capua, but also compel his hedonistic fighter, Gannicus, to embrace being a champion gladiator who will bring esteem and respect to the House of Batiatus. No, this isn’t exactly the Spartacus we’ve come to know and love, but it still looks pretty fun. We’re going to give it a chance. Check out the trailer after the jump. Spartacus: Gods of the Arena premieres January 21 at 10/9C on Starz. With Andy Whitfield not able to return to Spartacus: Blood and Sand for season two, inevitably the show must go on as it does in Hollywood. So, that means the show’s producers need to find a new leading man to take over the title role. According to Deadline, the search for that leading man has come down to three actors. Those three actors are: Stephen Amell, Aiden Turner and Liam McIntyre. According to the report, the three have been flown to New Zealand for screen tests and to meet with the show’s cast and crew. A final decision on who will be the next Spartacus is expected as early as this week. In case you haven’t hear these names before, don’t feel bad. Like Whitfield, Amell (Closing the Ring), Turner (All My Children) and McIntyre (The Pacific) are relatively unknown. They do, however, all seem to have the requisite looks and physicality for the role. Still, in my mind and I’m sure the minds of many other fans, it will be very hard for any actor to replace Whitfield in a role he created and filled so very well. That said, I’m sure the show’s producers would rather, if given the choice, not have to be facing this decision at all. I’m sure they would prefer to have Whitfield instead, as would we all. Hopefully, any actoir who takes his place will only be doing it for the short term and he will be able to return someday soon and play Spartacus, and many other roles, again. 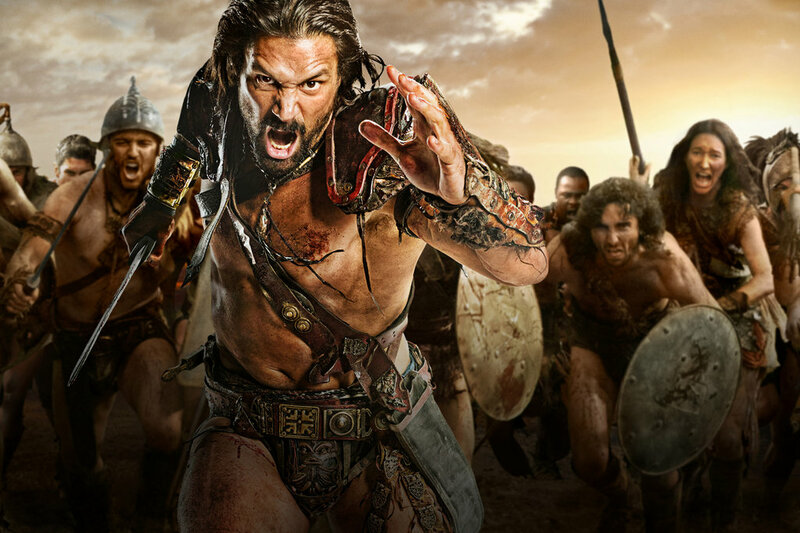 The Spartacus prequel series, Spartacus: Gods of the Arena, is slated to premiere in January. Season Two of Spartacus: Blood and Sand is expected to begin filming soon with a projected Summer 2011 return.